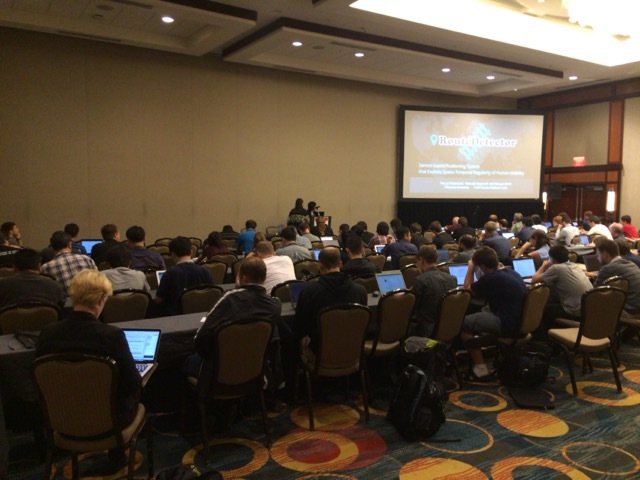 Watanabe-kun gave a talk at USENIX WOOT’15 held in Washington D.C. The workshop was collocated with the USENIX Security Symposium. In the two days workshop, many “offensive” technologies were demonstrated. We believe that ours was one of the scariest works among the studies. The paper and slides are available from the USENIX site.